These are hand braided scarves I made. It's such a joyful new thing to me. No tool required!! Its diagonal crisscross structure makes it super elastic and soft. 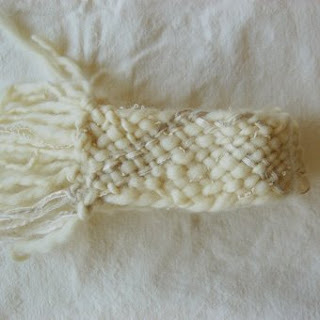 I used hand painted chunky wool to braid. They have irregular shape so it formed a organic shape of it. It has not even width. wow - that is an amazing piece of work! So lovely! your textures always blow me away. This is so beautiful, love the various mix of textures. So beautiful. Love the color + texture. wow! where did you learn? i'd love to try! it's from a japanese book. maybe i should do another post about it. that's really pretty : ) thanks for sharing! ooh it is beautiful! I would love to learn too! I love the idea of no tools required. simply beautiful as usual. I just love your scarves. i love the irregularity of this scarf. so beautiful, i wouldn't want to take it off. You have a BEAUTIFUL, BEAUTIFUL blog !!! i agree with all the above. wonderful! Yes, I can't wait to see your post on braided scarves! These are beautiful! 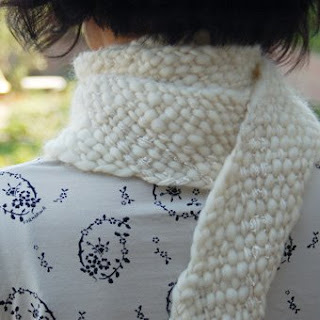 another 'yes please' to the post on how to make such a beautiful scarf! going to start to get cold here in Sydney and would love to make myself one.